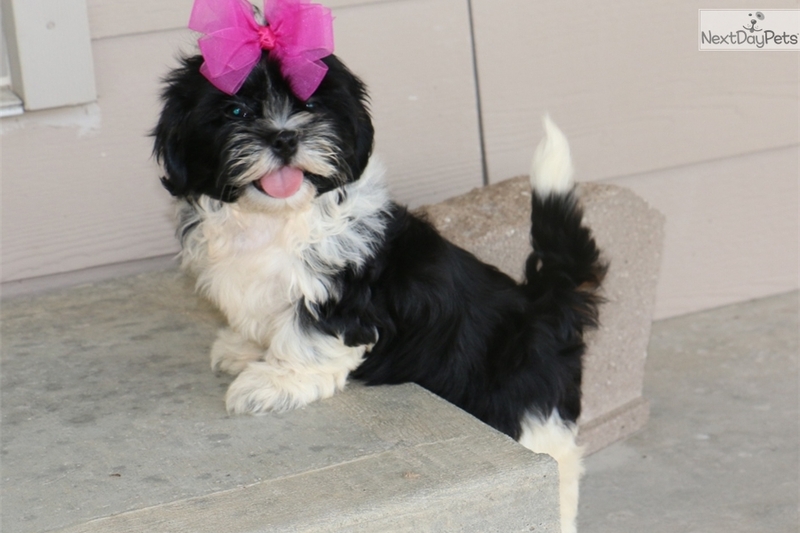 This Shih Tzu nicknamed Princess Hope sold and went to a new family. Take a look at Hope with her gorgeous coat of hair and beautiful markings. She has a colar of white, white tip on tail and beautiful white paws. This little girl is ever so sweet. She loves to be held and cuddle right up to you. Hope loves to run thru the house chasing my granddaughters until they pick her up. She literally looks like she is prancing. Her mama is my black and white malshi I raised from a puppy and her daddy my handsome AKC Shih Tzu. Both parents are very nice and social.